Classic Mahjong Connect game. Connect 2 of the same stones. The path connecting the 2 stones must have no more then 3 straight lines. Link a pair images by clicking on them. They need to be linked with no more than three straight lines. Clear the board to finish each level. (1) Hint: Shows you a link to a pair. (2) Rearrange: Rearranges the pieces on the board. (3) Dark Screen: The screen goes dark. (4) Blind: The cursor disappears. (5) Cloud: Dark clouds cover the board. (6) Rock: Puts a Rock on an unoccupied spot. If you want to play Mahjong Connect games online you have come to the right place! GamesLoon adds new Mahjong Connect games every week. 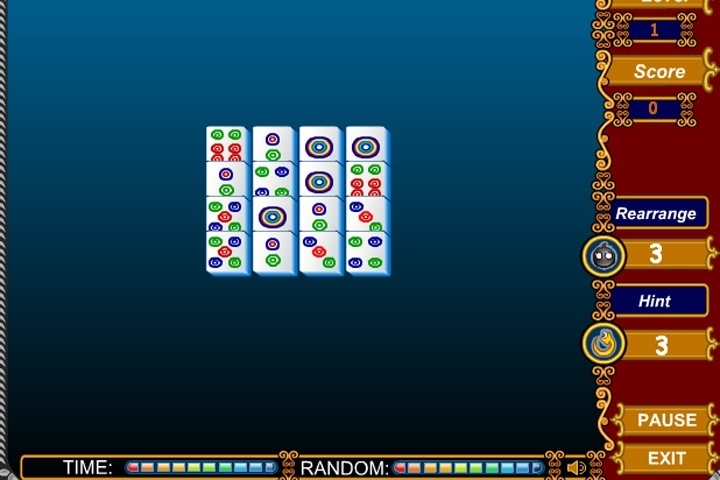 This is your game portal where you can find the biggest collection of free Mahjong Connect games online. Do not forget to rate our Mahjong Connect free online games while playing!